An ofsted graded Good childminder. I can offer 15/30 hour funded places for 2,3 and 4 year olds. Over and above this I do offer select dates of school holiday care. I cover Cheam Park Farm for before and after school collections. Leaving your most precious possession will be one of the hardest decisions you will have to make as a parent, let Bubbaz Childminding make it an easier one. My sole focus is to “raise the bar for standards of learning, development and care for your children. Here at Bubbaz we believe every child has the right to a Safe, Fun, Engaging and Stimulating environment that will help them gain a good knowledge and understanding of the world and build confidence in themselves and their ability through: creative play, outdoor adventures, quiet time, child lead play and educational games. I am an experienced childminder, mother , aunt and babysitter. 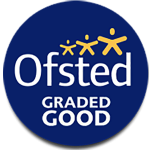 Ofsted registered. Rating of Good with over 18 years experience. NVQ level 2 in childcare. Paediatric first aid qualified. Qualified Mentor. 5 years experience of training and coaching. Bubbaz Childminding operates hours to suit parents busy working lives from as early as 7am, also including part-time places . Are available upon request. Very competitive rates. Below are the latest reviews for Bubbaz c. Please note that reviews represent the subjective opinions of other Childcare.co.uk users and not of Childcare.co.uk. Parents must carry out their own checks and references on childcare providers to ensure that they are completely happy before enaging in the use of their services. I consider myself very lucky to have found such a warm, friendly and professional Childminder. Stacey is absolutely fabulous and made my dreaded return to work much easier knowing my daughter was in safe, responsible and creative hands! I’m not sure how Stacey manages to achieve as much as she does in a day (she won’t share her secret) but what I do know is anyone looking for childcare would be hard pushed to find someone who genuinely enjoys their job as much as she does. My daughter and I both agree Stacey’s wonderful! Bubbaz has helped us develop our baby into healthy and happy toddler who has the ability to face the world. Our daughter has flourished under the care of Bubbaz from a closed baby to a friendly toddler. Bubbaz has worked with us with key milestones such as weening, potty training and dummy withdrawal. She listens to our needs and provides very good feedback on development and areas we can work together. My daughter absolutely love to stay with Stacey after school. She loves evenings they bake and days they play in the park. 100% recommend and happy to vote for our best childminder, she is the number one and true STAR! Stacey is absolutely amazing with my son! He hasn’t been going very long and he really enjoys going to Stacy and her family . She is always taking him to different activities and groups . She really made him feel part of the family and made me feel relaxed about leaving him. Stacey should definitely win this award!